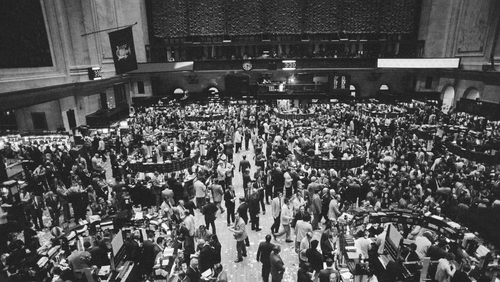 The ethics of business: can a good person be a good trader? Opinion: how hard is it for those in business to reconcile their efforts to pursue a successful career with efforts to live a virtuous life? Can a good person be a good trader? Whether you work in finance or not, it's a curious question. If you are among those who are actually playing a role in the complex and multifaceted financial sector, you probably know that this is a tricky question. You think of that transaction you authorised once, that information you gave in a particular circumstance or that order your boss asked you to execute even though you both know you were on the thin border between legality and morality. On the other hand, if you are not involved in finance, you have probably asked this question yourself, especially if you have read newspaper reports about financial corruption, or if you have felt the pinch of increased taxes due to the collapse of Ireland’s banking system. These considerations make finance a worthy object of philosophical inquiry. The ethics of finance have been for too long academically considered a collection of rules, or simply an analysis of codes of conduct written for the purpose of being effective, or just for mere window-dressing. But from the perspective of one philosopher, Alasdair MacIntyre – a perspective which we happen to share – ethics is an enquiry into the life worth living, not just the "do"s and "don’t"s of rules. Using this perspective on ethics, we have explored the conditions under which a person working in finance may successfully perform their job, while at the same time keeping their commitment to live a life worth living, showing the same moral character when they are with her friends as when they are working. Keeping one’s own commitment to live a worthy life is particularly hard if the environment where a person is working challenges his or her fundamental ethical values. And it seems to be especially the case in finance, leading MacIntyre to go so far as to affirm that "just as the successful training of a boxer will destroy his prospects as a violinist, so the inculcation of qualities of moral character is no way to prepare someone for a rewarding career in the financial sector. Ethics is not just irrelevant. It is a probably insuperable disadvantage". We took this statement as a starting-point for investigating whether MacIntyre’s indictment of financial traders can be considered overstated or if it is actually an accurate depiction of the reality of financial trading. What MacIntyre calls "the standard of the virtues" would require a financial operator to have a balanced perception of herself and of the risks she is taking, attention to the other actors in the game, and a habit of long-term, big-picture thinking. MacIntyre suggests that being an excellent financial trader is diametrically opposed to these virtues: it means being over-confident, reckless, in continuous competition with others and excessively focused on the short term. Is MacIntyre right in his judgement? Do these personal features really inform every financial trader’s character and behaviour? Does financial trading effectively presuppose, and perpetuate, a training in vice? We do not deny the existence of practices in the field of finance that are illegal and/or immoral. But at the same time, we are not convinced by MacIntyre’s sweeping condemnation of financial trading and related professions as overwhelmingly immoral. Financial trading, for example, has many positive applications and serves the essential function of channelling savings to worthwhile projects. Rather than taking an absolutist stance for or against financial trading, we investigate how hard is it for financial traders to reconcile their efforts to pursue a successful financial career with their efforts to live a virtuous life. The figure of the "adaptive virtuous trader" is proposed as the ideal. This person, even if challenged by the rules of a hard game, is capable of critically and responsibly adapting to them. They have the courage to stand for what they think and give a good example to others who wish to do their job in a responsible and ethical manner. An adaptive and virtuous trader might have to leave an extremely hostile work environment, but may be able to continue working in a "tolerable work environment" without giving up the path of virtue. A tolerable work environment allows the possibility of resisting some pressures, for example incentives, without losing too much prestige or money. In a "tolerable work environment", it is possible to refuse doing something on the border of legality and morality without being impeded in doing one’s own job. Any "borderline" situation would put the "adaptive virtuous" agent in the situation of judging whether the new situation they confront is pushing them down a path toward vice (and therefore gives them a powerful reason to leave the job), or whether they can adapt to the situation without sacrificing ethical integrity. One example of an intolerable work environment would be one in which one is effectively compelled to become actively or formally complicit in bringing about a gravely unjust outcome. Financial trading may be ethically problematic, but it is not irredeemable. Can a good person be a good trader? If we answer in the negative, then we should question the legitimacy of the entire financial system, and also of those institutions entitled to train future actors in this field. If there is still room for virtue in finance, then we should do all in our power to support financial institutions and cultures that encourage and reward virtuous behaviour. We should also withdraw our support from institutions and cultures that promote reckless and unethical behaviour among financial actors. Dr Marta Rocchi is an Assistant Professor in Corporate Governance and Business Ethics at Dublin City University. Dr David Thunder is a researcher and lecturer at the Institute for Culture and Society, at the University of Navarra.